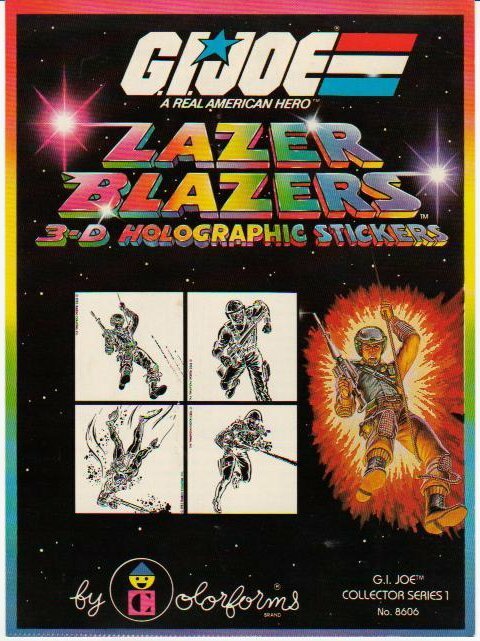 The other day, I ran a Google search for '80s stickers and came across "Lazer Blazers" which I had totally forgotten about. I remember having a set as a kid which featured 3-D holographic images of He-Man. These are probably one of the best sticker sets every created. Then I remembered that some toys and figures also featured holographic stickers, like Supernaturals and those sunglasses with the holographic eyes. Even since the '80s, holograms and holographic projection still seem to be an aspiring, futuristic technology used only in television and film. 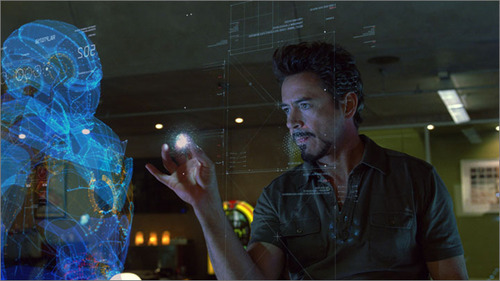 For example, shows like CSI & Hawaii Five-0 and all of the Ironman films use 3-D holographic computer screens and images as part of their advanced technology. So how did holograms become so fantasized? The aforementioned toys and stickers have something to do with it, but I think the popularity arose mainly from characters who used holograms in '80s cartoon shows. If you stop and think about, there seemed to be one in all of the most popular shows! Here a quick list of the characters I could think of...I'm sure there are more! 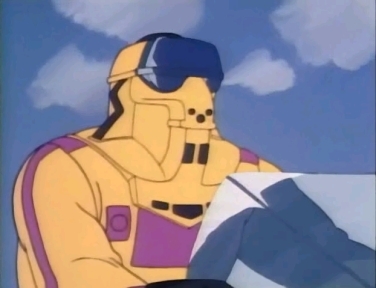 Third Earth was one of the most unique worlds of '80s cartoons. Combine that with a young, naive leader and you had the recipe for frequent danger. 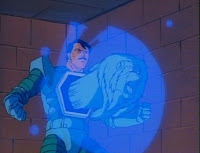 The sword of omens used by Lion-O fortunately had the ability to display a holographic image that could summon the other Thundercats when he found himself in trouble (which seemed to be every episode.) The Thundercats bat signal was one of the signature moments of the cartoon when combined with the "Thundercats Ho!" cry and the extension of the sword of omens for battle. A secret project developed by her father, Jerrica Benton discovers "the ultimate audio-visual entertainment synthesizer" known as Synergy. She quickly finds out that she can alter her appearance using truly outrageous holograms through the micro-projectors in her earrings. Jerrica uses the mother of all Moogs to form the band Jem & The Holograms and glam rock her way to the top. Along the way, she struggles to combat rival bands and keep her holographic identity a secret. On to the next rock star! Brad Turner, heavy metal guitarist and Mobile Armored Strike Kommand agent, can not only disintegrate matter with the laser mounted on his Condor motorcycle, but he can also seemingly create it. Brad's Hocus Pocus mask can generate holograms which often fool Miles Mayhem and his V.E.N.O.M. agents. 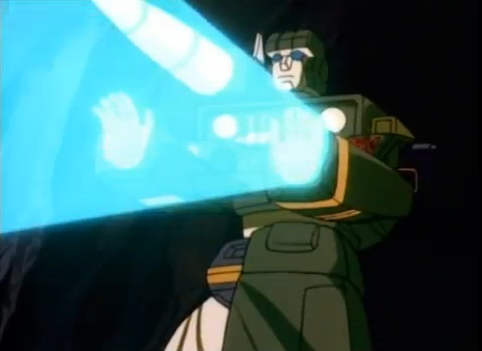 In the "Ultimate Weapon" episode, a holographic image of an army of vehicles tricks V.E.N.O.M. into retreating and allowing M.A.S.K. agents to diffuse a bomb. 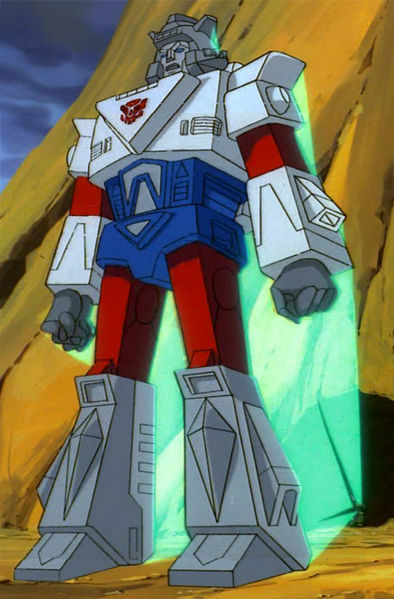 One of the original Autobots who crash-landed on earth from Cybertron, Hound serves as the scout of the group. 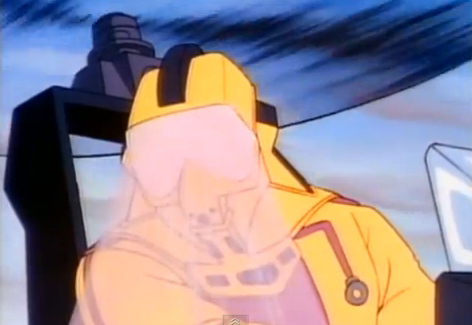 The military jeep also has the ability to project holograms which comes in handy when sneaking up on Decepitcons. 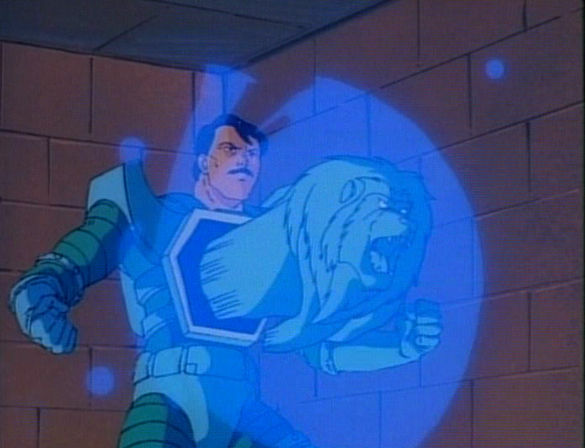 Like the aforementioned Brad Turner, Hound also uses his holographic images for some deception of his own. 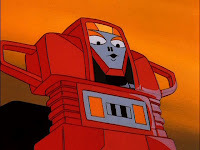 In the episode "Heavy Metal Wars," he projects an image of Halonix Maximus (who is larger than even Devastator) to distract the Decepticons and give the Autobots the upper hand. ...and then there's those other transforming robots. Scooter was the resident computer hacker and inventor for the Guardians. He was not equipped with any weapons and used his hologram projector to disguise himself or confuse the evil Renegades. (It's too bad he wasn't also equipped with a voice changer.) 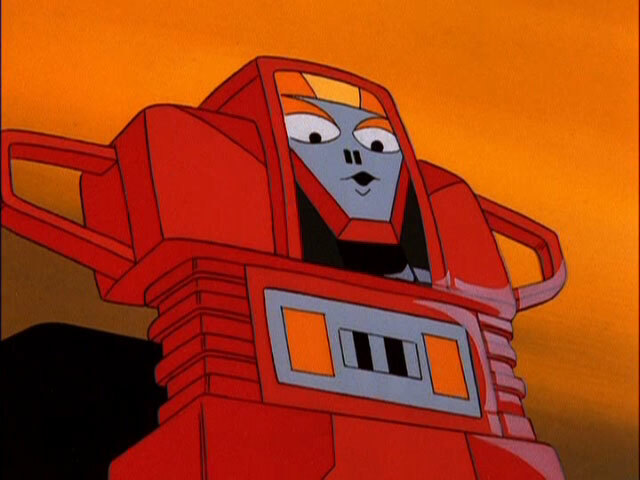 Despite his ill-projected personality, he kept a friendly rivalry with fellow Guardian Turbo which I always likened to Murdock and B.A. Baracus on the A-Team. A short-lived animated series and comic book, Visionaries consisted of two factions called the Spectral Knights and Darkling Lords. Each knight featured magic totems on their chest which projected a hologram of an animal of which they could transform. 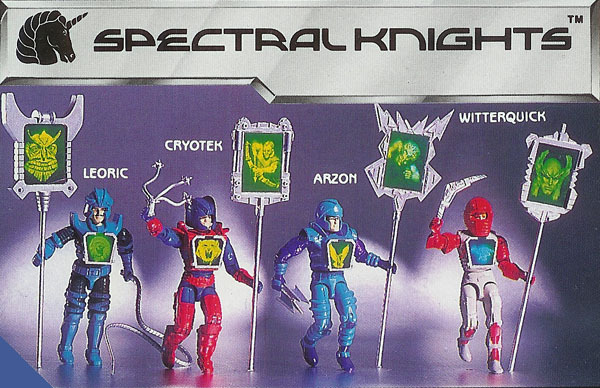 Some of the knights also had magical staffs which wielded special powers through holograms. The Sunbow-produced animated series only lasted 13 episodes, but spawned a great toyline featuring holographic stickers. Remember more characters that used holograms? Leave a comment and add to the list! Also, have you ever wonder how holograms are made? I stumbled across a video from the Centurions cartoon with Ace McCloud explaining the laser light process.